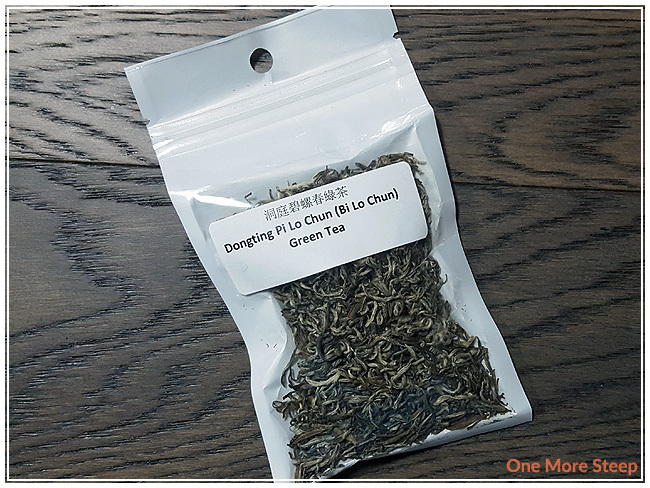 Dongting Pi Lo Chun Green Tea is also known as Dongting Bi Lo Chun. Bi lo chun means green snail spring, based on the shape of the tea leaves and when the tea leaves were harvested. I picked up this green tea at The Chinese Tea Shop’s vendor booth at the Vancouver Tea Festival. The tea came to me in a resealable plastic bag – clear on one side and white on the other (which isn’t terrible since I keep my tea out of light). This straight green tea came from a private farm, located on Dongting Mountain, Jiangsu Province, China. 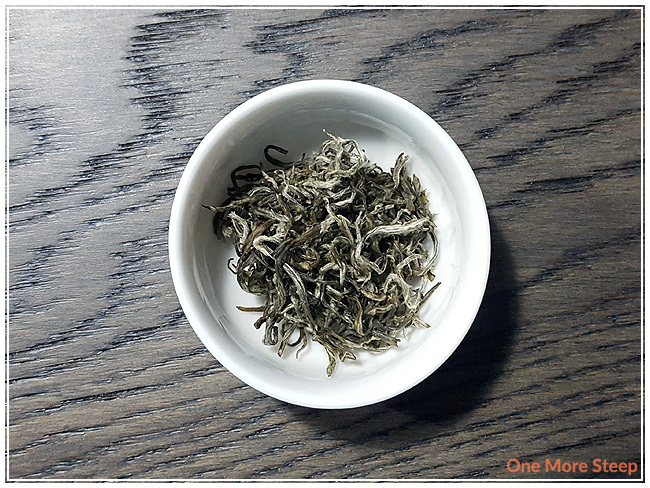 The tea leaves are thin, about 1-2 cm in length. The dark leaves have a slight curl to them, and are covered with feathery white down. The aroma from the dry leaf is primarily that of a light floral fragrance that comes from tea leaves. While there were no steeping instructions on the packaging, The Chinese Tea Shop website has a tea brewing guide (17 page PDF). For green tea, it’s recommended 75-80°C (167-176°F). For the length of time, the guide assumes everyone is steeping gongfu style – and has times ranging from 6 seconds to 10 seconds. However, I’m not steeping that method. My first steep was for 1 minute with 175°F water (heated in my Breville IQ Kettle with the green tea setting). Dongting Pi Lo Chun Green Tea steeps incredibly pale yellow after the first minute. The initial steep has a very subtle aroma. It’s a light mix of floral, sweetness, and saltiness that I smell. The tea is smooth, and has an almost grassy flavour to it. There’s a mild saltiness that reminds me of seaweed, with just a hint of floral sweetness at the end of each sip. At the length of time I steeped it for, I noted zero astringency or bitterness. 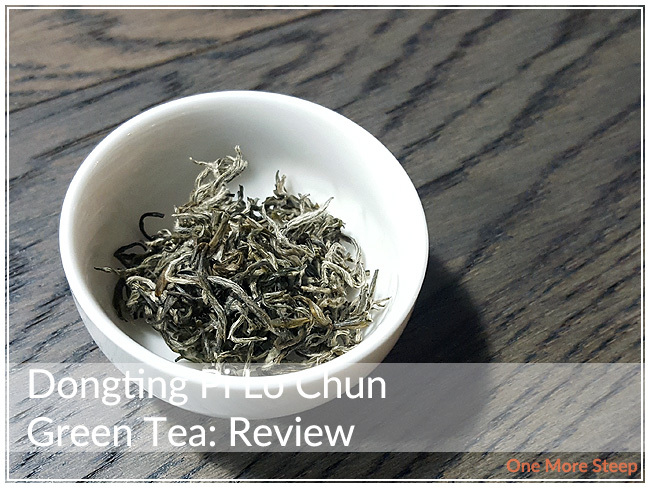 I resteeped Dongting Pi Lo Chun Green Tea a total of 5 times (6 steeps total). I kept the water temperature the same and increased the steeping duration for an additional 15 seconds per subsequent steep. I found that the tea got a little bit darker in colour and became a light yellow. 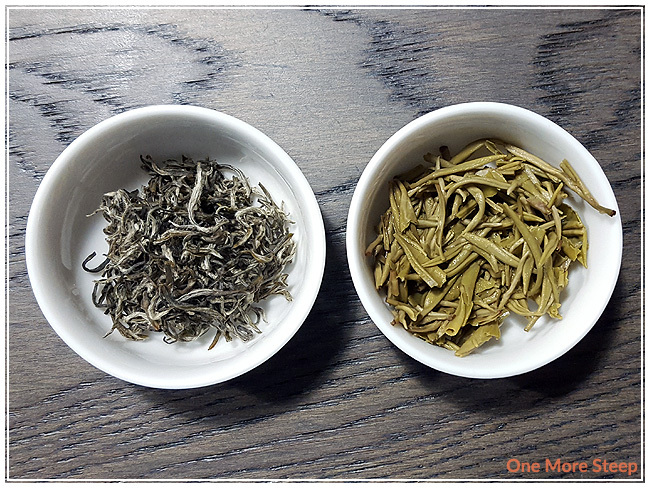 The flavour was the most intense by the third steep, but remained the same in terms of complexity and the overall flavour profile. I loved The Chinese Tea Shop’s Dongting Pi Lo Chun Green Tea. I wasn’t blown away by the initial steep of this tea, but I would liken it to the dress rehearsal while the subsequent steeps were opening night and there rest of the nightly performances. I found the flavours to be nicely balanced – salty and sweet, floral sweetness versus the umami of the salty seaweed. It resteeps very well, and I quite enjoyed having it again and again. Because of the balance of salty and sweet, I would suggest that this tea could be paired with either a savoury meal or sweets/desserts.